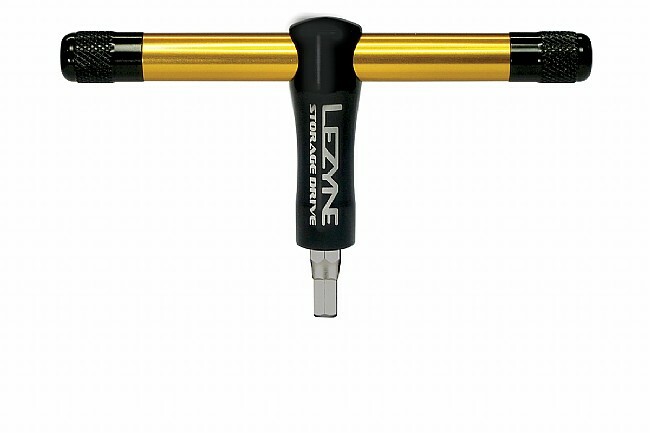 The Storage Drive from Lezyne acts as a storage case for 5 bits -- T25/30 and 4-6mm hex wrenches -- and a T- or L-wrench tool thanks to its floating handle design. 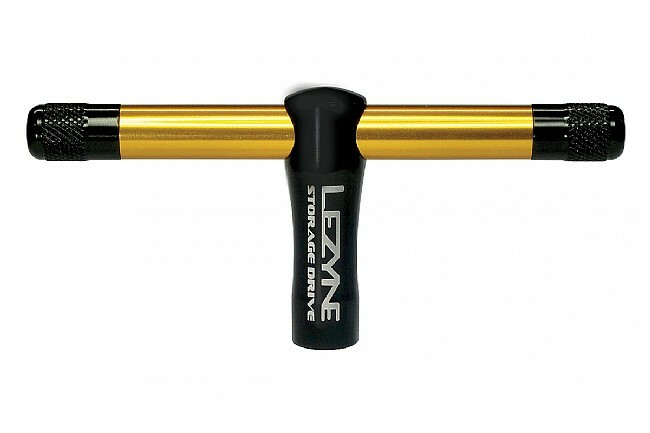 An integrated magnet keeps the bits secure. 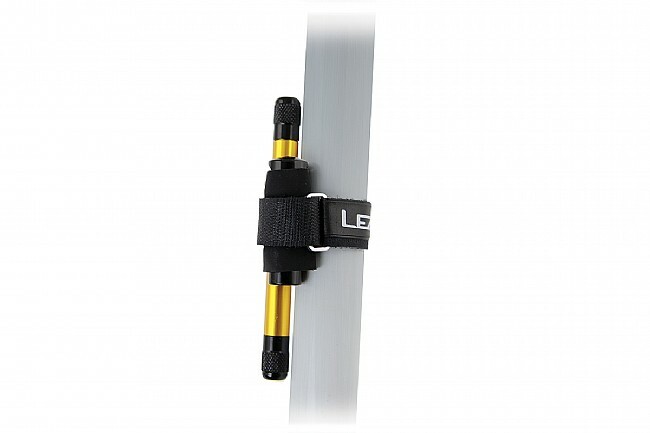 The included carrying strap makes it easy to mount to multiple locations on a bike.